The Subway Surfers Come BACK To MAXWELLS! 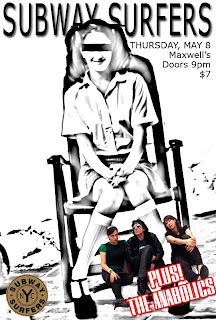 Thursday May 8, we make our triumphant return to Maxwells in Hoboken. TELL EVERY GIRL YOU MEET! Keep tuned in for the Gangstar Zynga web internet site to discover out much more! five heroic costumes: El Pimiento, smooth Zoot, fight Bushido, &amp far far more!